We have all had the “worst day” of our lives. Bridget, in all honesty, has given me most of mine. The time in the NICU, having to physically hold her down for testing and the list goes on. For every “worst day” she has given me countless best days. Today two friends of mine is going through another worst day of their life. Three years ago these happy parents lost their first born, handsome, cute, full of laughter, son to SIDS. Although he was just five months old, Colby gave his parents a lifetime of happy memories. That is roughly 8 babies a day. EIGHT parents today are having their first worst day of their life. There was nothing any of those 3,610 parents could have done to prevent their child’s death. There is nothing those EIGHT parents today can prevent their child’s death. Children who die of SIDS are seemingly perfectly healthy. SIDS does not discriminate. It can happen regardless of race, economic stature or ethnicity. 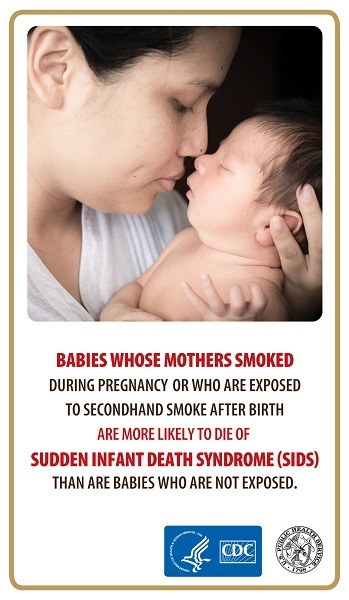 SIDS is not hereditary and is not contagious. Place babies on their back to sleep every time. Every time. Use a firm mattress with a bed sheet. Do not let them sleep on the couch, for example, or another soft surface. If you, or someone you know, has been affected by SIDS I encourage you to find your village. To find those who understand that the worst day of your life doesn’t end at midnight. That you need support every day. Heck every moment. To find a support group near you, SIDS America has local resources across the United States. It doesn’t make it easier, I am sure, to know that Colby (or any baby) is with their God when you want them home where they should have been safe in their crib. I know his parents are strong. Stronger than they know. I wish I could take away their pain, if even for a moment. All I can do, all any of us can do, is to remember the anniversary is not the only “worst day” of their lives. That we need to be with them every day and acknowledge that their grief will always be a part of who they are now. And hug our children a little tighter, being truly grateful that this is not the worst day of our lives. This entry was posted in advocacy, challenge, comfort, compassion, Uncategorized and tagged grief, SIDS on December 16, 2014 by firebailey. I will do just that tonight, Kerri. I’m so sorry for Colby’s parents; I can’t even imagine their grief. You are a good friend and mother for sharing their story and helping raise awareness about SIDS. It’s just the worst thing, it was what I feared most, I don’t think I ever slept properly until my eldest was past the danger period. The other two were on breathing monitors, which gave me peace of mind, and I sometimes wonder if that option should be available to all families?